inspired and Team Celebration decided to Take Action, research the actual healing values in this God Given Delight named ‘Chocolate’. 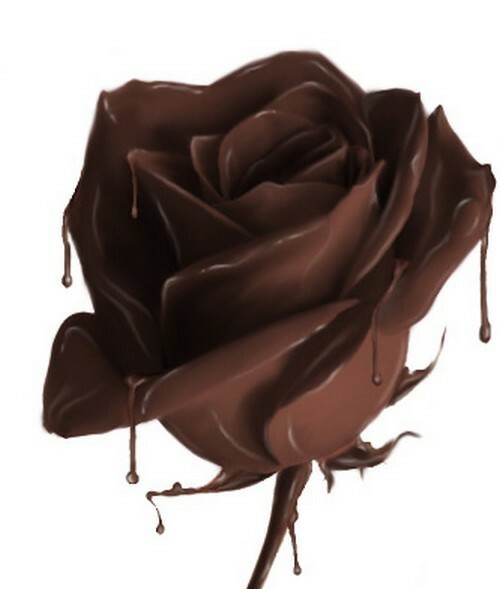 We have not yet found what chocolate can do for breasts; but, we certainly have some amazing reports of its Healing Qualities in other areas of the body; the brain, emotions, hypertension and more, including your “Lovelife“. During any form of Recovery, whether from Cancer, Heart Disease or an Addiction, the body is experiencing some form of chemical imbalance; and this can lead to depression. 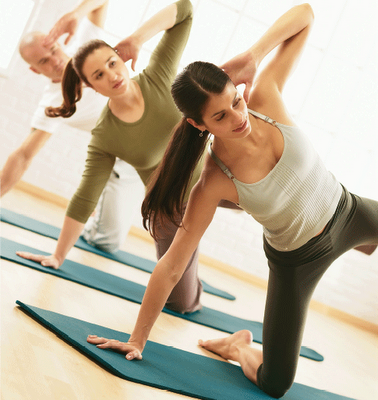 Maintaining a chemical balance during such a time as Recovery is one of the Master Keys to Success. Our research found Kristen Coveleskie and Gwen Slaughter, two Women students and is honored to share their research papers into this wonderful subject of the ‘food of the gods’. For centuries, chocolate has been shrouded in mystery and legend. Many cultures believed that chocolate was a gift from the heavens, or that it had special healing properties. Today, many cultures still consider chocolate a potent weapon in the fight against disease and illness. Modern scientists have only recently begun to understand what, if any, medicinal powers chocolate contains. Chocolate was an Ancient Remedy. Some doctors even claimed chocolate prolonged life and cured everything from ringworm to ulcers! Modern science says that chocolate may not be all bad for you. 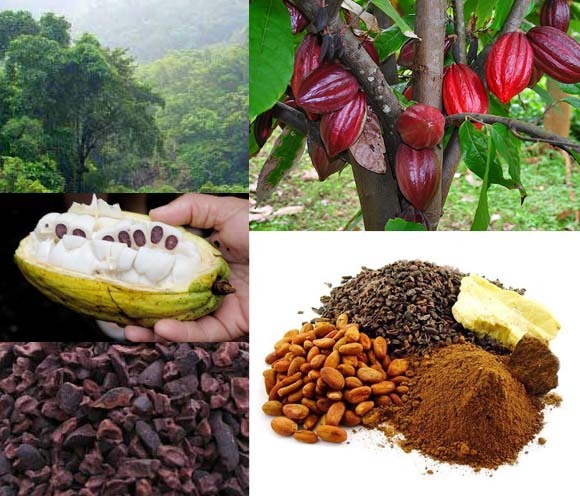 Maya and Aztec peoples drank chocolate not only for pleasure, but also for its perceived healing and nourishing powers. They used it to treat a host of illnesses, such as seizures, fevers, dysentery, diarrhea, and skin infections. Like most new foods, chocolate was received with mixed reactions by Europeans. Encountering chocolate for the first time in the 1600s, some believed it could induce sleep, aid digestion, purify the blood, ease childbirth pains, and enhance libidos—though others believed it could cause drunkenness or illness. For a long time, the medical profession assumed that traditional folk remedies using chocolate were pure wives’ tales. 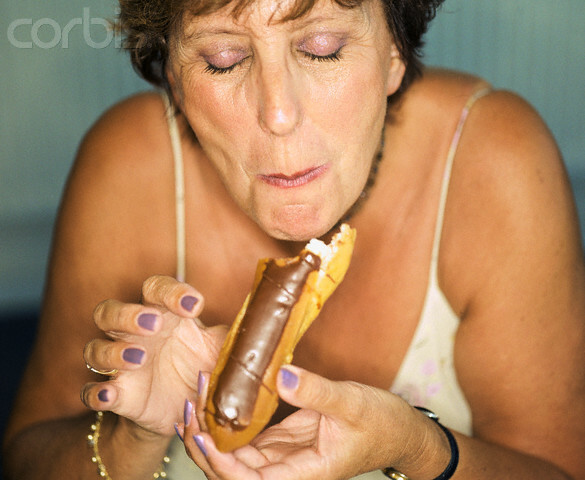 In fact, chocolate developed a bad reputation for causing everything from acne to tooth decay. 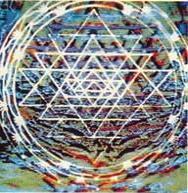 But current research reveals the fact and fiction behind many of these beliefs. Although scientists are still trying to understand the more than 300 chemicals in chocolate, there may be some beneficial side effects to eating chocolate. ‘While thinking of things to put in a gift basket for a friend who was in the hospital, my roommate turned to me with some of her German chocolates and inquired if indeed it was true that chocolate makes a person happy. “It has something to do with endorphins in the brain, right?” she asked me. Lo and behold, I discovered that the over 300 chemicals that compose chocolate have numerous and varied effects on our bodies through the nervous system. Chocolate can affect the brain by causing the release of certain ‘neurotransmitters‘. Neurotransmitters are the molecules that transmit signals between neurons. 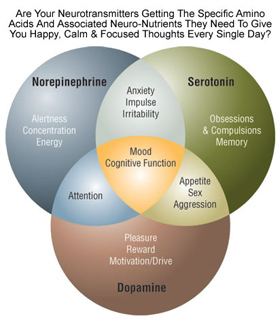 The amounts of particular neurotransmitters we have at any given time can have a great impact on our mood. 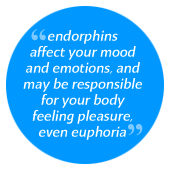 Happy neurotransmitters such as endorphins and other opiates can help to reduce stress and lead to feelings of euphoria. As connections between neurons, they are released from the pre-synaptic membrane and travel across the synaptic clef to react with receptors in the post-synaptic membrane. Receptors are specified to react with particular molecules which can trigger different responses in the connected neurons. 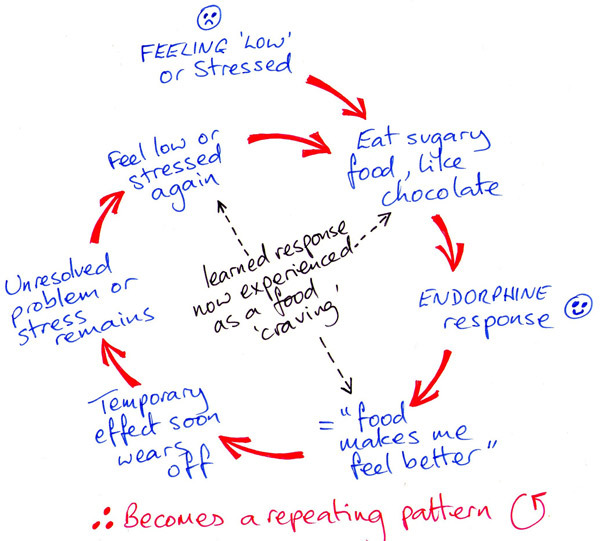 It turns out that my roommate was correct in her assertion that chocolate affects the levels of endorphins in the brain. Eating chocolate increases the levels of endorphins released into the brain, giving credence to the claim that chocolate is a comfort food. Another common neurotransmitter affected by chocolate is serotonin. Serotonin is known as an anti-depressant. One of the chemicals which causes the release of serotonin is tryptophan found in, among other things, chocolate. 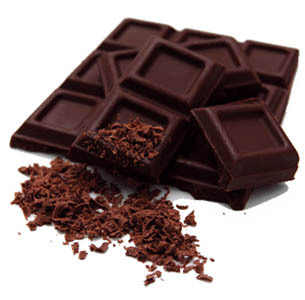 One of the more unique neurotransmitters released by chocolate is phenylethylamine. This so called “chocolate amphetamine” causes changes in blood pressure and blood-sugar levels leading to feelings of excitement and alertness. It works like amphetamines to increase mood and decrease depression, but it does not result in the same tolerance or addiction. Another interesting compound found in chocolate is the ‘lipid anandamide’. a chemical found in marijuana. Both activate the same receptor which causes the production of dopamine, a neurotransmitter which leads to feelings of well being that people associate with a high. Anandamide, found naturally in the brain, breaks down very rapidly. Besides adding to the levels of anandamide, chocolate also contains two other chemicals which work to slow the breakdown of the anandamide, thus extending the feelings of well-being . Even though the anandamide in chocolate helps to create feelings of elation, the effect is not the same as the THC in marijuana. THC reacts with receptors more widely dispersed in the brain and is present in much larger amounts. It would take twenty-five pounds of chocolate to achieve a similar high to that of marijuana. 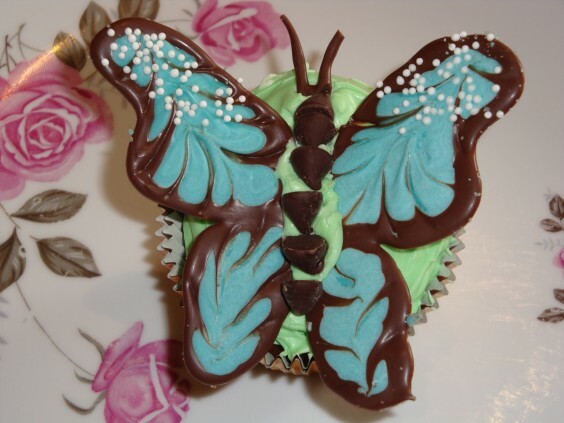 Theobromine is another chemical found in chocolate that can affect the nervous system. Besides having properties that can lead to mental and physical relaxation, it also acts as a stimulant similar to caffeine. It can increase alertness as well as cause headaches. There is much debate as to whether or not caffeine even exists in chocolate. Some scientists believe that it is the less potent theobromine which is solely responsible for the caffeine-like effects. 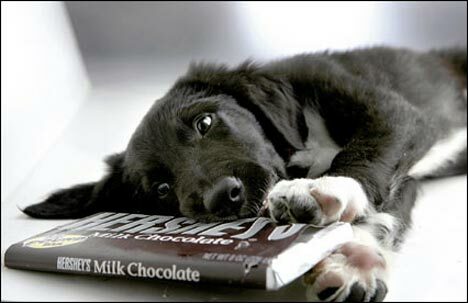 KEEP ‘Chocolate’ AWAY FROM YOUR PETS!!!! When examining the effects of chocolate on the nervous system, it is also important to point out that chocolate does not treat all nervous systems the same. Many animals, for example, Can be killed by the Chemicals in Chocolate. does not metabolize as quickly in other animals such as dogs and horses. Chocolate has a long history associated with feelings of well being. 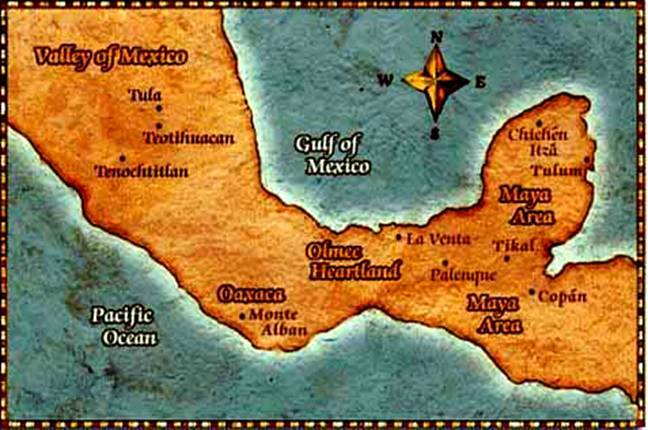 It has been favored by people ranging from the ancient Aztecs to high society Victorians to Popes. Chocolate also has a history of being a known ‘aphrodisiac’ . 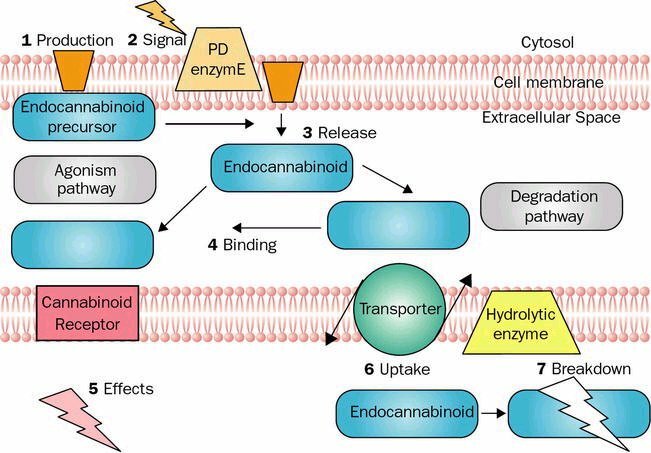 This makes sense when you combine phenylethylamine’s ability to quicken the heart, the feelings of euphoria from anandamide, theobromine’s power to cause relaxation, and the other neurotransmitters sending pleasurable feelings throughout the brain. Even the names associated with Chocolate imply its Power. meaning “food of the gods” . It seems to be true that eating chocolate can increase feelings of euphoria as well as decrease stress and pain, but is it possible that chocolate can be addictive? There are many people out there who consider themselves to be addicted to chocolate, partly because of its mood-enhancing qualities. Many questions, however, still remain regarding if chocolate can, like the drugs with similar chemicals and effects, be an addictive substance. Some go as far to say that chocolate is merely a kind of placebo that only causes these effects because people believe that it will. Chemicals such as phenylethylamine and anandamide can be found in other edibles in much greater amounts but they don’t seem to have the same effect. There are plenty of self professed chocoholics out there who would, however, refute this claim and who continue to proclaim the wonders of chocolate. It is also important to remember that not all chocolate is created equal. The strength of chocolate depends greatly on how it is manufactured. 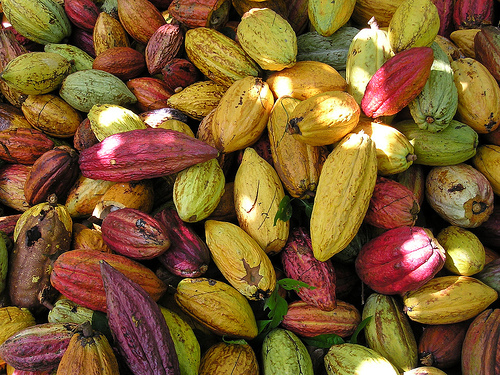 The cacao bean, from which chocolate is derived, has a naturally bitter taste and is greatly diluted by sugars and other ingredients. In the United States, something needs only to have 10% cacao in it to be considered chocolate. When examining my roommate’s collection, most of which is from Germany, I found that cacao levels were around 30%, the dark chocolate being slightly higher. It seems that in diluted chocolate, the effects would be minimal. I think it is quite fascinating that a food such as chocolate can have such an effect on the operations of our brain and thus our perceptions of the world. Since I met my roommate over a year ago, I have significantly increased my chocolate intake.